Only have 4 days to spend in Singapore and want to cover the highlights and popular destinations? 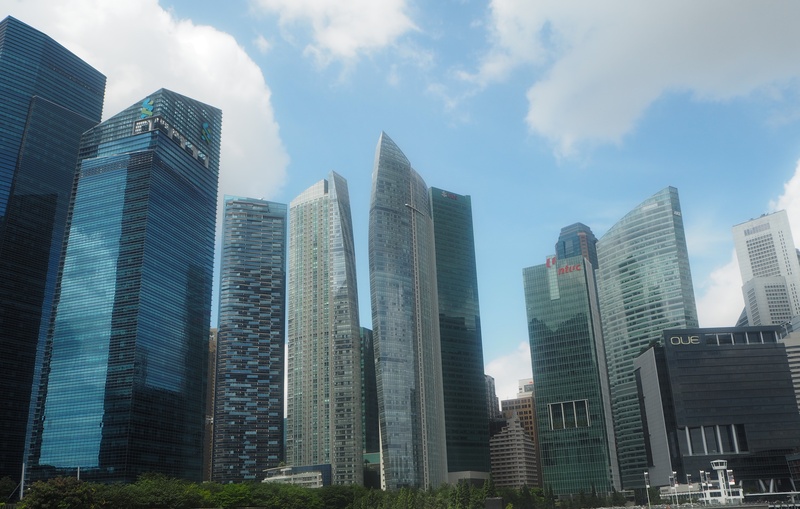 I will show you the things you can’t miss when you visit with my guide to Singapore. We had 4 days there but we really only ended up with 3 due to a mess up with accommodation thanks to AirBnB and Booking.com but we managed to find an amazing hotel and get to see the city in the days we had left – although we missed quite a lot of the things we wanted to see including the zoo and Little India but that only means we can go back and see the rest. Our first full day we spent exploring Marina Bay area and checking out the skyscrapers. We walked through the shopping mall The Shoppes for a bit of air-con and to also see what shops they had. They had some very quirky shops and also lots of restaurants as well. Once we reached the outside of the shopping mall they had lots of water lilies in the pond on the waterfront next to the Art & Science Museum as well as an art set up in which school children had painted glass jars in an underwater theme which was very pretty. After exploring Marina Bay we walked past the Singapore Flyer and towards Marina Bay Sands Hotel until we came to Gardens By The Bay, we thought whilst we was in that area it would be better to check it out then rather than later so we booked our tickets for The Cloud Forest and The Flower Dome and it was a great day to chill but also explore at the same time. The Flower Dome and The Cloud Forest were gorgeous – filled with amazing plants and flowers which were perfect to photograph so I came away with some great shots. After some exploring we headed back to the hotel to shower and get ready for dinner. On day two we stuffed ourselves with our gorgeous breakfast spread in the hotel and headed out to find Chinatown. It was quite busy obviously with the run up to Chinese New Year but not too bad as it was mainly tourists checking it out. Before we reached Chinatown we checked out the rows of colonial buildings near by which was the perfect mixture of old and modern near our hotel with the different coloured shutters and french style buildings against the massive skyscrapers. We then walked past an Indian temple before following Google Maps to get to Chinatown on our Handy. smartphone. After checking out the stalls and coming across quite a few quirky shops we then headed for Haji Lane. We walked through Chinatown to get to the MRT station before hopping on a train at Haji Lane, which the nearest station is Bugis and then it’s a 7 minute walk down the main road. How long would you like to spend in Singapore? What would you do there? Leave your answer in the comments below. I’ve done an extensive guide on Haji Lane if you would like to check that out for lots of information and tips on what you can find there, which you can read my post A Guide To Exploring Haji Lane. Haji Lane was one of my favourite places in Singapore apart from Gardens By The Bay. It’s so quirky and colourful and just has a very chilled vibe there. Raffles Hotel is still being refurbished and has been for quite some time. It has had the opening delayed so many times. We could only peer through the fencing to see the entrance and sign but the Long Bar was still open so we could go in and have a cheeky cocktail at 3pm in the afternoon. My parents had Singapore Slings but I had a Sour Plum Mojito which was delicious and so refreshing. It’s also so weird throwing your monkey nut shells on the floor but was a different experience. It’s a tradition they have kept for over 73 years! After chilling in Raffles Hotel for a cocktail, we the headed back to the hotel to get changed and have dinner before heading out to see the Marina Bay Light & Water Show. We sat down on the waterfront and watched it but we noticed we was too far away to hear the music and see the water properly. There was also a live band performing behind us which stopped us from hearing the music properly so after the first showing had ended we headed more towards the shopping mall to get a better view. We saw it twice both with different views which was good. It was a pretty light show and you get to see the city in a different view with its skyscrapers all lit up different colours. We headed back to the hotel to relax and get some sleep. We had run out of time to do the zoo and Little India but it is on our list for next time. Clarke Quay is a beautiful riverside strip of shops and restaurants of pastel buildings which were warehouses back in the 90s. Clarke Quay is just a stone throw away from Marina Bay in which you can see the famous Marina Bay Sands Hotel from the quay. 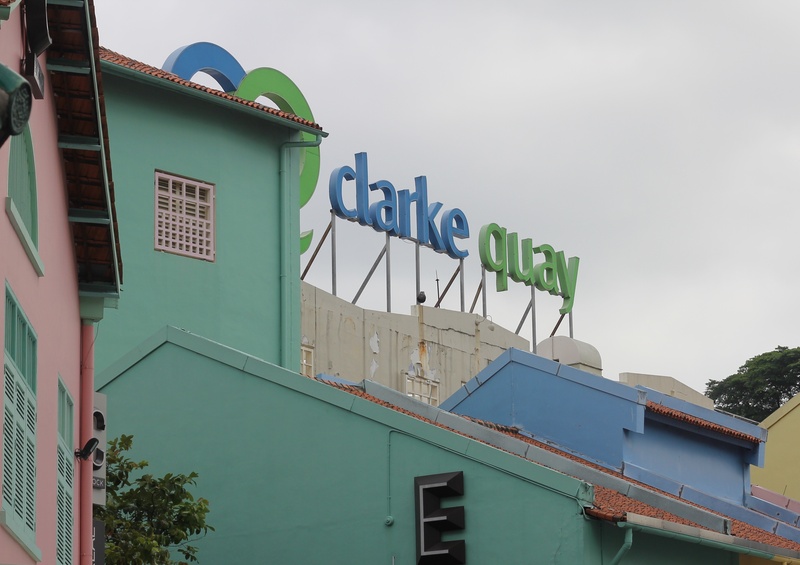 I have written an extensive guide filled with lots of information on Clarke Quay so you can go and check that out if you would like more information. From Clarke Quay you can catch a boat that takes you around the marina and gives you important history and facts about Singapore and the Marina Bay area. I didn’t get the chance to eat at a hawker centre but we did visit one to check it out. I definitely recommend going for dinner there once to get a real feel for Singapore. I didn’t get enough time in Singapore to see Little India, but I definitely recommend checking it out when you visit. 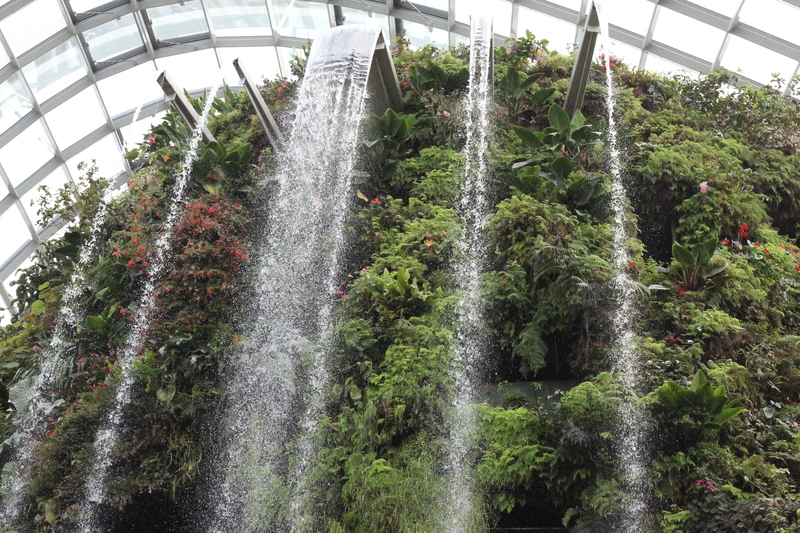 I also didn’t get time to see the Botanical Gardens but if you are into that or if you choose to do it instead of Gardens By The Bay or even both then go and check it out. We saw the Supertree Grove on our third & final night but I wanted to move it to spread it out. Me and my parents had to go back and see the Supertree Grove and the Helix Bridge before we left. After dinner, we walked from our hotel to Marina Bay walking across the Helix Bridge. An Australian architect built it over 8 years ago. It lights up in different colours to represent the human DNA. The four colours represent the four bases of DNA. It create a visual experience for visitors and the pedestrians walking across the bridge. We walked through Marina Bay Sands lobby to get there. It looks amazing lit up at night against the Singapore night sky along with the Singapore Flyer. What would you like me to write about next for Singapore? Let me know in the comments. This place honestly looks insane! The more I read your blog posts about it the more I want to go! But I know it takes a lot of organising!